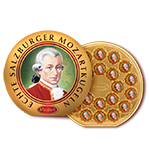 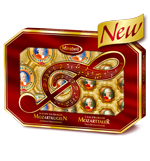 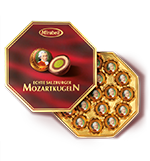 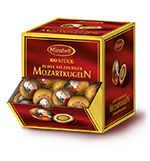 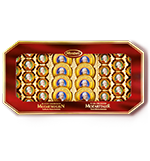 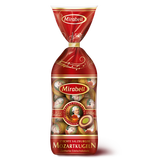 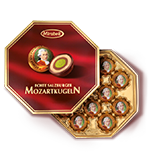 The Genuine Salzburg Mozart balls from Mirabell offer a unique taste experience and seduce with their popular original recipe – a creation comprising a core of finest pistachio marzipan, coated in dark and light praline cream, as well as smooth, bittersweet chocolate. 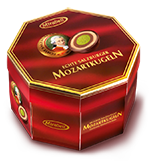 Mozart Composition in atmospheric gift pack as classic gift. 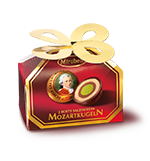 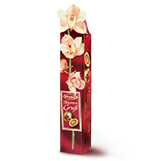 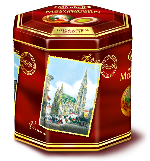 The Mozart mix is an exquisite present for special occasions. 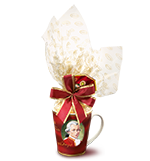 Ideal as a gift, to offer visitors and to share in the classic octagon pack. 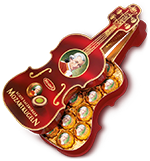 The exclusive gift in the shape and design of the genuine Mozart ball. 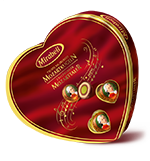 The sweet surprise for in-between. 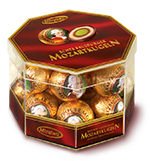 The small thank you for in-between. 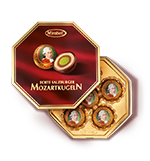 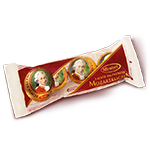 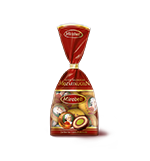 The multipack with individual Mozart balls.